Home / FB Recruiting / Where does FSU go from here? Where does FSU go from here? All the positive vibes from signing day have abruptly ended. To be honest, since Willie Taggart become head coach the quarterback room has been a complete mystery to FSU fans. After missing on Emory Jones last year the staff opted to take a year off from the position and sign one this class. It was seen as a good move at the time because there was an excellent batch of signal callers to chose from. A couple of months later they grabbed Sam Howell-seen as one of the top players in his class at the position. The only caveat was that Walt Bell was his connection to the FSU staff. Non-issue right? We thought Bell was a rising star in the industry and we’d keep him at least two years. Ensuring his signature and giving him time to bond with Taggart in the process. Then fall came upon us. Bailey Hockman transferred right after he received the news that he lost the job to Deondre Francois. This came as a surprise to the fanbase but there was still good energy as there was a belief that Francois could lead us on the field in his fourth year. He had just come off of major surgery but he won the job outright while only having the summer and fall to prepare. We saw flashes from Blackman last year as well so we knew FSU had a good backup in case of emergency. But then Francois looked erratic at best during the season and seemed to quit against Clemson causing angst in the fanbase. This, in turn, created a push for Blackman- especially after his 400-yard performance against NC State. But the staff opted to redshirt Blackman and give the reigns back to Francois after he was deemed healthy after suffering a mild concussion. This proved to be costly as Francois couldn’t step up and beat Florida to continue FSU’s bowl streak. Then things really went sideways. Multiple reports came up out of the blue that Walt Bell would be announced as the Head Coach at… the University of Massachusetts. That doesn’t seem like a move a young coach would make in his position so there were multiple questions as to why. Turns out he and the staff didn’t exactly vibe together which caused a mutual parting of ways. The ‘Noles ended up with a massive upgrade in Kendal Briles of course, but that’s not the point. As I said previously Walt Bell was the ONLY connection Sam Howell had to the program as he was the first coach to offer him. So when Bell bad-mouthed FSUs program to the Howell family they listened, resulting in a flip to UNC during the early signing period. This left FSU with no quarterbacks and only a few options to pick from. They zeroed in on John Rhys Plumlee and Lance LeGendre. They had already been recruiting Lance for some time and were now pushing extremely hard to get him into the class. Plumlee was a relatively new name as he had opened up his commitment after UGA turned his full ride into a blue shirt. It turns out they were too late for Plumlee-he opted for Ole Miss. But Lance LeGendre just stings as they had been recruiting him for a whole year and the vibes coming out of his visit were extremely positive. I will go as far to say that it was simply unacceptable to miss on him and I bet the staff agrees. To go two years without signing a high school quarterback? Simply unheard of. This puts FSU in a precarious position because if James Blackman gets hurt and Jordan Travis doesn’t get a waiver? You’ll see a whole lot of Wild Cam, and that won’t win games on a consistent basis. So what can the staff do to rectify the situation you ask? Whew. That’s a hard question to answer. Most of the D1 eligible quarterbacks available will sign today. Meaning that the staff has no choice but to look at the transfer market. They don’t need a starter-James Blackman secured that. Especially after Deondre Francois was kicked off of the team. But they desperately need a backup quarterback-preferably a graduate transfer who can run the Briles offense. A name to watch is Josh Jackson from Virginia Tech. He would be a solid back up and provide a safety net for Blackman. There’s also been chatter that the staff has either already contacted him or was planning to soon. That’s definitely going to happen after the debacle we witnessed on National Signing Day. Jordan Travis will also fight to get a waiver from the NCAA and if that happens we should all rejoice because we’d have three guys available plus Nolan McDonald in case of emergency. The next thing the FSU staff must do is sign two quarterbacks at MINIMUM next class. I’d honestly try to sign three. You guys know I think Jeff Sims is a stud and he will be the Bell Cow next year. But look out for Gregory Spann Jr. as well. He’d be an excellent addition to the class and is the better athlete of the two. Next cycle it is critical we sign multiple signal callers-the work starts yesterday. Now let me make this clear-missing out on high school quarterbacks like this is unsustainable and could result in the firing of a head coach two to three years down the line. But I don’t think it’ll come to this if the staff has injury luck and follows the formula I’ve laid out above. Do remember that Blackman has three years of eligibility thanks to the redshirt. Now I know FSU fans are angry right now and rightfully so. But the way we closed on the offensive line should be encouraging. That room is getting better and you should expect five new starters to protect Blackman this upcoming season which will help in the “please dear God don’t get hurt” department. We luck out and Travis gets a waiver? All the better. This was the worst case scenario but there is still a light at the end of the tunnel if the chips fall correctly. There is more positive energy around the program lately so we have to view this as a major setback for a major comeback. But it’s absolutely imperative that this situation never arises again-and Coach Taggart knows it. 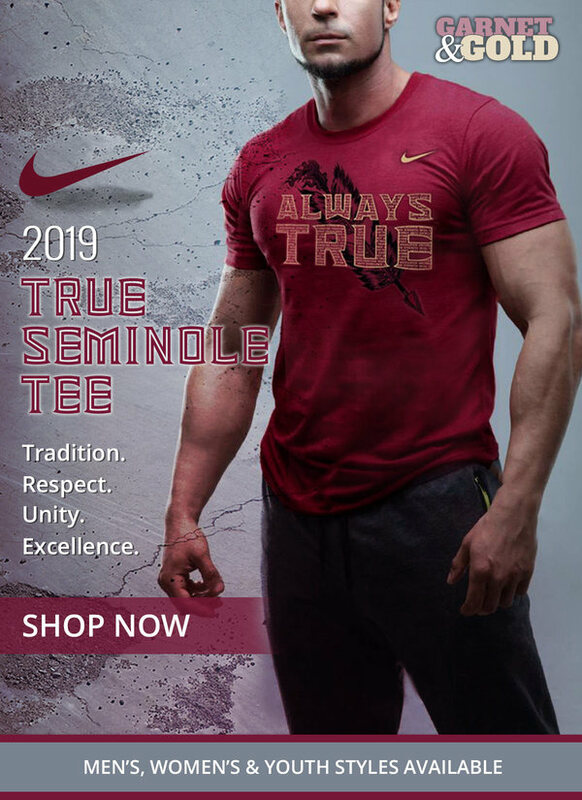 So keep your eye on the transfer portal people, and Go ‘Noles. Update: With new information comes new opinions. It seems as if LeGendre was passed on by the FSU staff due to grades amongst other things and a bunch of other Southeastern teams followed suit. Josh Jackson chose the easiest path to be a starting QB by going to Maryland-who incidentally have 2 quarterbacks in the portal as well. Remember Jackson only has one year of eligibility and it would’ve been highly unlikely that he started over Blackman. Noles247 has confirmed that Nick Starkel will officially visit FSU March 26-29th. He’s formerly of Texas A&M and will have 2 years left in terms of eligibility. He will visit Arkansas in early March and they give him the best chance to start. The FSU staff is increasingly confident that Jordan Travis gets a waiver. If this happens don’t be surprised to see FSU pull out of the QB market. They are confident that Nolan McDonald can be a good option in case of emergency and even a scholarship player down the line.